The update is more than confirmed, now lets focus on the little thing it might or might not come with it. Or just wait until it's here and see then? I would be surprised if it's 64 bit tbh but there's not long to wait either way. Have patience Padawan. 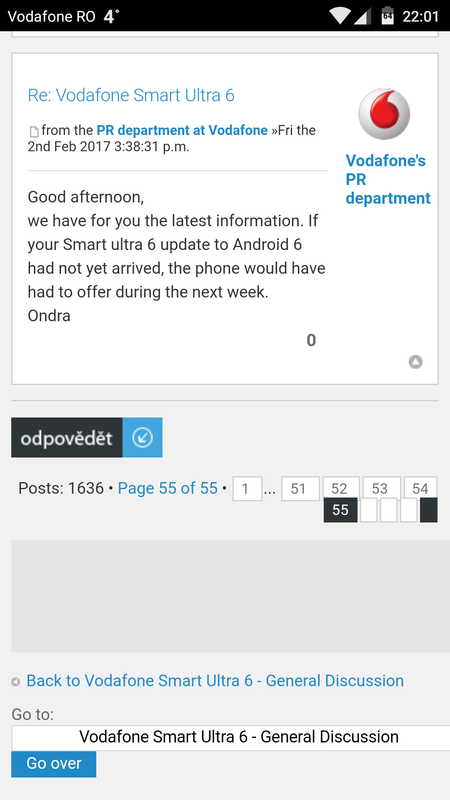 Someone acting as PR agent from Vodafone wrote on czech android forum that we should expect it next week. Great news if its legit. Such anxiety, I can hardly wait. So far, ZTE's website results in nothing so anyone from UK willing to update the phone to check if it does? Vodafone Romania not update for moment. Would be nice if he could post a screenshot. Regardless I'm gonna inject the UK 5.1.1 update and manually update to 6.0 to see if its true. 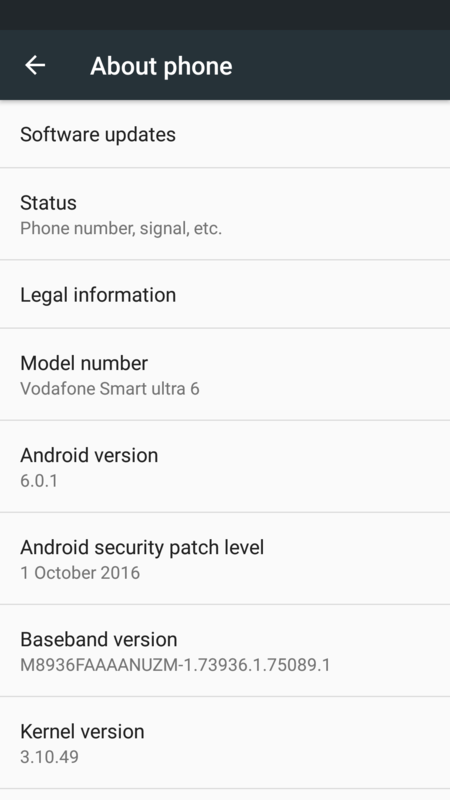 Just installed the latest UK 5.1.1 update and so far, no software update and no Marshmallow. So either the user was lying or the update still hasn't reached all phones in UK. Mannix on the Vodafone site posted these images as proof. I didn't suggest it was UK. 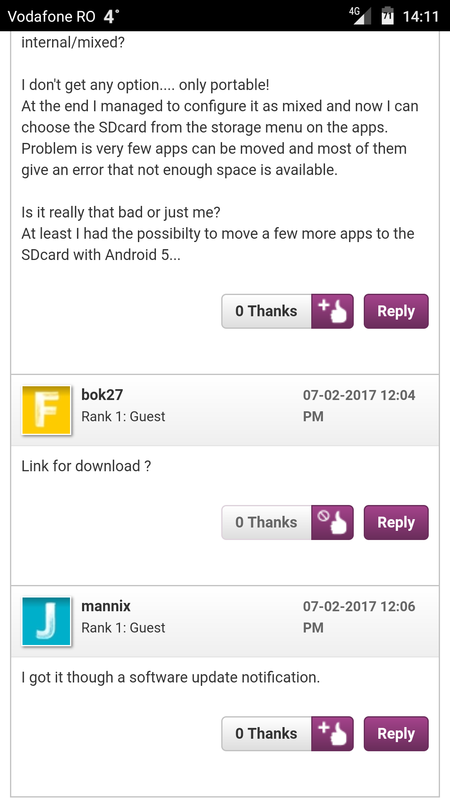 I was just forwarding the information to people in this forum. Any link for download ? This is where the updates are usually located but I can't find Germany in the drop down menu. I also tried the German ZTE site but was unable to find any updates for this phone. 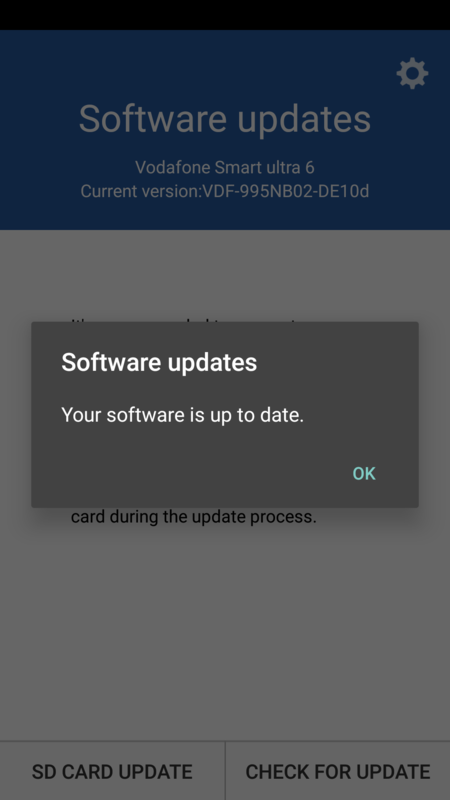 Recive update android 6 Vodafone Romania. Download.